7 am - Spring Sprint Race Briefing –mandatory for all racers. 10:30 am - Face Painting + Family Fun Zone Opens! 1 pm - Awards + Ice Cream! This will be at River City Realty Office 726 Seymour Street Kamloops on Friday May 13 from 4:30 - 5:30 and Saturday from 11:30 – 1:00. Remember your photo ID and your Tri BC proof of membership. *Late (in person) registration closes at 2 pm. Photo ID and TriBC proof is required at packet pick-up. An Additional $15.00 will be charged at package pick up if your TriBC # is not valid or current. Or $6.00 for each Relay team member, or $5.00 per non-Triathlon BC members Juniors (ages 16-19 years). You and only you can pick up your race packet. If you arrive at the race site without photo ID, you will have to participate as a spectator only. Sorry, TriBC does not allow us to give you your race packet without ID. Arrive early.to check in and get body marked. For safety reasons, all competitors will be marked with permanent ink with their race number. Heats will be posted at body marking. You will need to look for your heat start time and be ready to go 15 minutes before hand. We do not wait. If you miss your start time we will try to fit you in at the end but your race time may not be accurate. Listen for the marshalling announcement for your heat. Expect to be called onto the pool deck 15-30 minutes before your heat. ​Follow the direction of the swim marshal. There will be a separate areas for the BC Summer Games Qualifying Heat and the Kids of Steel Races. Only athletes will be allowed to retrieve their belongings from transition. Re-entry will be allowed upon completion of ALL the races, this includes the Kids of Steel events. There is an expo and food truck available (cash only). We want to ensure the safety of all athletes and the security of their bikes and gear. Be aware of the entrance and exits from transition- called the “chutes”. Before your race begins, make sure you familiarize yourself with the swim entrance chute (from pool to transition), the bike exit chute (from transition out onto the bike course), the bike entrance chute (coming back into transition from the bike course) and the run exit chute (leaving transition for the last time and heading out onto the run course). Remember where your bike and gear are. After setting up your equipment in transition and before leaving for the swim marshalling area, make a mental note of where your bike is. Is it in the middle of transition? Is it beside the big tree? Is it near the water station? Perhaps you can place your favourite towel over your bike. 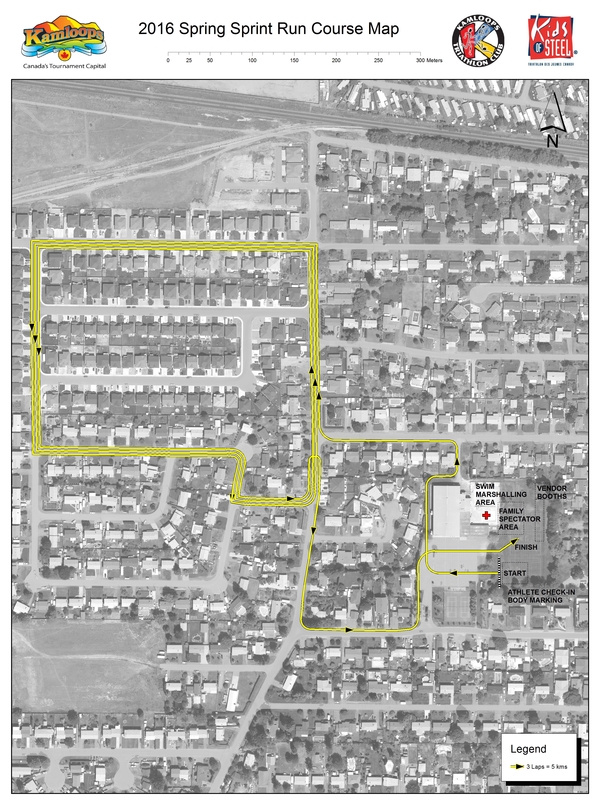 This will help you quickly find your way to your bike when you are running in to transition after your swim. Make sure you know how many laps you have to cycle. 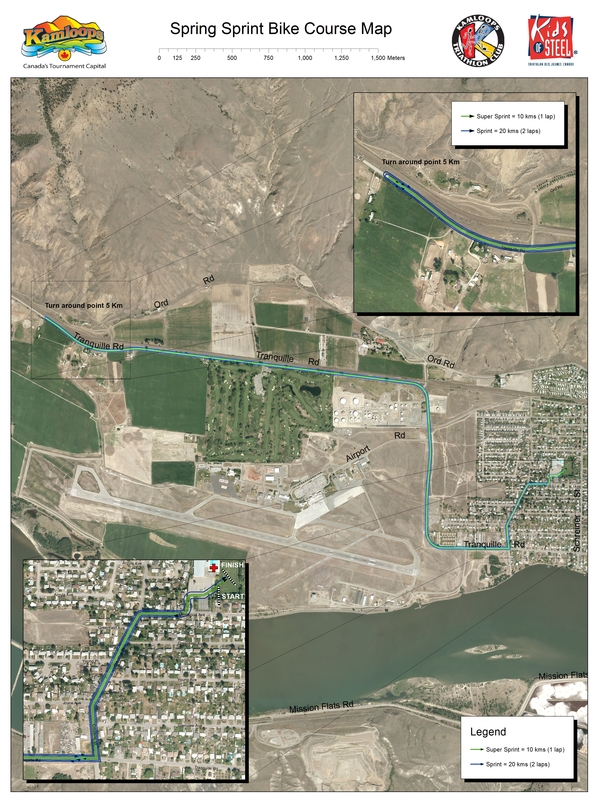 Water is NOT provided on the run but will be at the exit of transition. 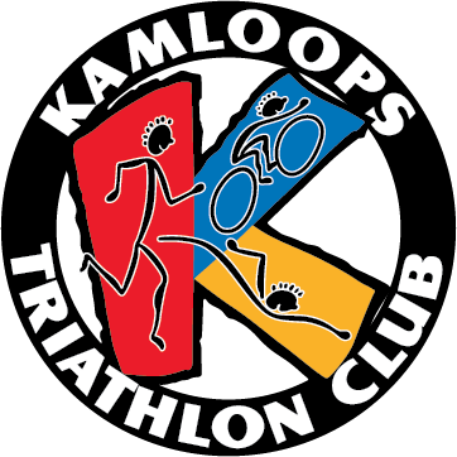 ​The Kamloops Triathlon club is dedicated to make this event a first class event geared toward beginner triathletes. This will be an informal session where you can take a look at the venue and get familiar with the pool and transition areas. Members of the committee will be on hand to answer any questions you may have. Stay tuned via Facebook or read race emails for date and time.